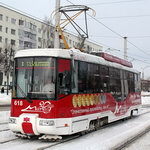 The movement of trams in Vitebsk is carried out on 9 routes with a total length of nearly 213 km. In weekdays 68 cars go on the routes, at weekends - only 43. 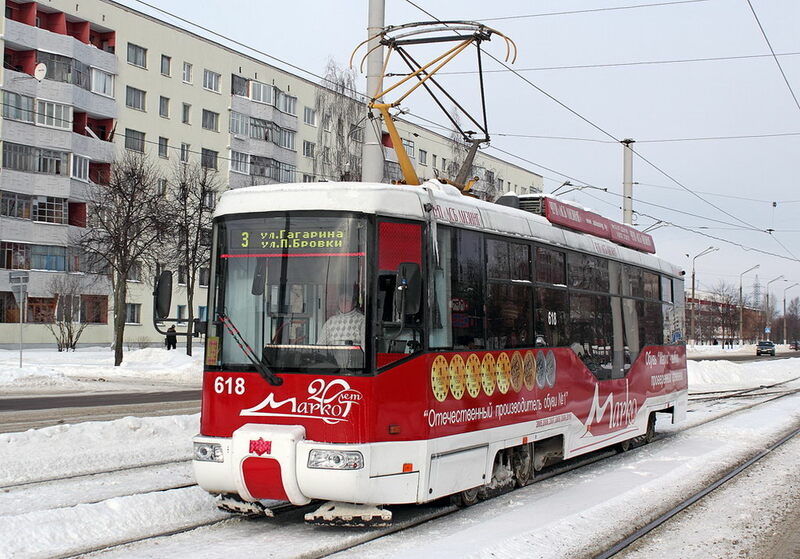 Trams` speed is slightly higher than trolley`s and totals 15.9 km/h, and the minimum headway of this type of public transport in Vitebsk is from 7 to 55 minutes depending on the route. Tram route № 1 is the longest: the distance in one direction equals to 17 kilometres. And a round trip will take 2 hours 5 minutes. Tram route № 5 manages to deliver passengers to the last stop faster than anyone - its length is 7.5 kilometres, and a round trip takes less than an hour. Only one tram runs on the route, so you will have to wait for tram № 1 very long. By the way, tram with numbers 1, 3 and 5 will take you to unique by its nature Vitebsk Tram History Museum, where you will learn a lot from the history of the city. Traveling on one of these routes, you will pass by the Central Sports Complex, which is the largest sports facility in the city. Trams with numbers 4, 6, 8 and 9 will deliver you to the bus and railway stations.